Finally, some movement on this project! Bottom line, I'd like to have a single machine, located somewhere in the house, which houses all of our media - Music, TV shows, movies - and can stream it to our home theater rooms and wireless devices. I'd also like this system to handle backups, to a redundant hard drive in the same box. We initially decided to go with a Synology 4-drive Diskstation NAS - it has AirPlay capabilities, and can act as an iTunes Server. 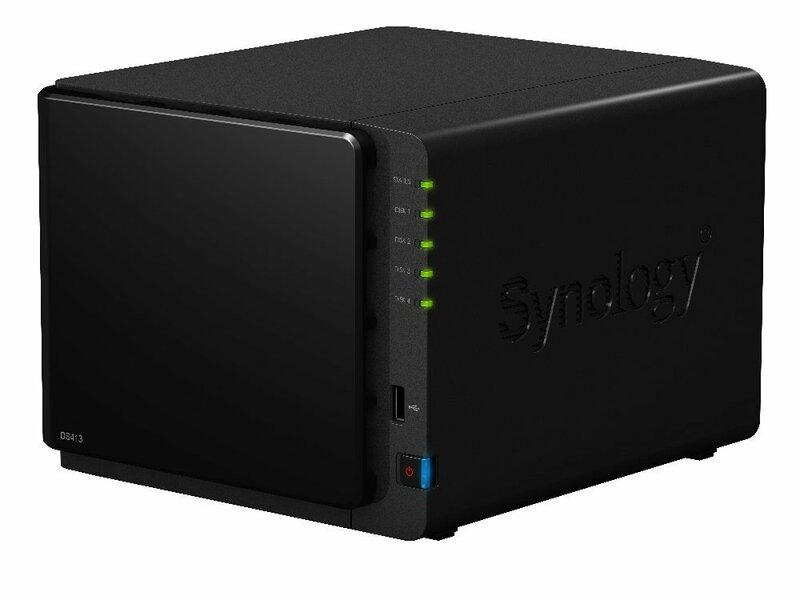 Specifically, the Synology 415 Play - which can push 1080p video to our home theater wirelessly or via ethernet. However, we ended up going with the QNAP TS 451+ 4-bay NAS, which has a little bit more horsepower for pushing 1080p content. For now, our primary music library is located on the iMac, with backups done to a connected Time Machine hard drive. I'd like to disassociate all of our media libraries from the iMac, in favor of an always-on server. UPDATE - This project has evolved, as our basement renovation moved forward, and Plex became available on the AppleTV. Right now, we're going with the NAS alone, and waiting to see if Apple EVER releases a new Mac Mini (presumably based on Intel's Kaby Lake processor). I don't want to buy a 2012 Mac Mini, because it's 5 years old.... and I WILL not buy a 2014 Mac Mini because of its soldered-in RAM. So - until Apple either announces a new Mac Mini, or announces the end of the Mac Mini line, we'll be going with the NAS device in the basement alone. Currently I have a Mac Mini with a 4-bay RAID 10 connected via USB 3.0 running OS X Server 10.8. It does a great job of file sharing, VPN, etc. I plan to expand on this to a more power/robust/redudant system once I move from an apartment to a house. We've decided to go this route, too.